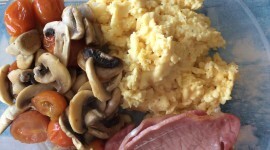 Cooking with rum – rum punch, flambé bananas and a very spicy dip made this a fantastic talk! After last year’s successful trip to Rumfest it was inevitable that this year there would be a return trip. The event was held again at the ILEC in West Brompton – just a five minute walk away from the station and if our impressions are anything to go by it was a massive success. Once more there was more rum than a pirate’s ship could handle, with everything else rum had to offer as well – from cooking with rum, learning about rum, rum cocktails, rum ice lollies – there truly was something for everyone! Tickets were once more priced at £49.95 – a price some might think is quite steep, but at this price point you can guarantee that people are in the event because of their love of the drink, not simply to get drunk. 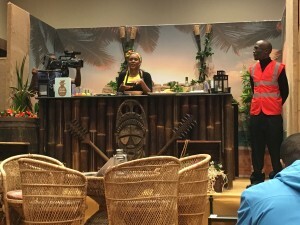 The main stage was a great focus again with talks on Saturday centring around learning about rum and cooking with rum. As always the hosts of these talks did not disappoint – from tasting flambé bananas, to viewing (sadly, not tasting) a very limited edition bottle of rum – only 1875 bottles produced! With so much to talk about – here are my top three Rumfest moments from this year…. Using Don Q Cristal, this was a really lovely take on Pina Colada. The past two years have seen Don Q – rum makers from Puerto Rico in attendance. The talks they give are truly engaging and informative as they talk you through their rums, and Alex – their ambassador always has a new cocktail for everyone to try as well. This year was no exception – a fantastic moment being Alex’s cocktail this year – the Pina colada – which wasn’t actually a Pina colada – well it was… but it was made from coconut water instead of milk with other typical ingredients that made it taste so light and fruity. 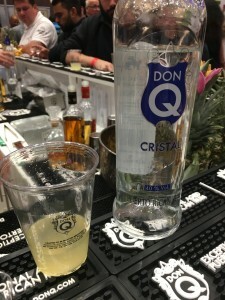 The good news for people that like Don Q’s rum is that it is now available in the UK and can be bought from some online retailers, including Whiskey Exchange. Havana Club: How much for a bottle? Can you tell the difference? 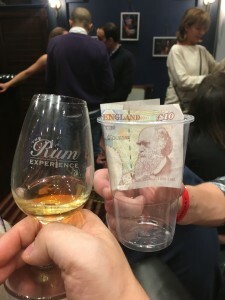 Drinking the 15 year old Havana Club – £150 a bottle! Coming in very close behind Don Q for their sheer hospitality and welcome at their stand was Havana Club. Split into two sections the first part of their stand was devoted to promoting their new range of cocktail bitters – coffee, island fruit, aromatic leaf and honey through some rather delicious tasting cocktails (though the coffee one wasn’t for my own personal taste). The second part of their stand, like last year, had something a little more special. This year, it was devoted to a series of tastings – and we were lucky enough to sneak into a tasting of the Iconica range, tasting rums that quite frankly I could never bring myself to pay for at the bar. We were taken through tutored tastings of the Seleccion de Maestros, 15 year old rum and Maximo Extra Anejo. If you want to try these at home be prepared to part with your cash as they come in at £50, £150 and £1200 respectively! Either way a fantastic experience – and extremely informative. Bacardi: New Kids on the Rumfest bloc? Fantastic presentation from Bacardi – and some lovely drinks too! One rum producer that wasn’t there last year was Bacardi. This year they made up for this by having their own little bar and serving up a selection of 3 drinks. Using Bacardi 8 year old rum the rather cute trays came up with a glass to pour some neat rum into, and then there was an ‘old fashioned’ and an ‘old cuban’ cocktail to try as well. Superb presentation, though it was a shame they didn’t have more of their collection for us to try. 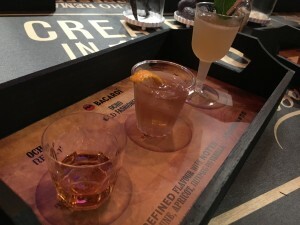 Aside from the fact that Bacardi is not what you would necessarily associate with a high line, quality range of spirits what made this Bacardi experience so good again was the hospitality displayed. Unlike many of the exhibitors, Bacardi made sure we all walked away with the recipe cards for the cocktails we’d tried in some rather lovely goody bags… we even got a free miniature bottle of the 8 year old rum to take away as well! In conclusion, Rumfest was another superb experience. 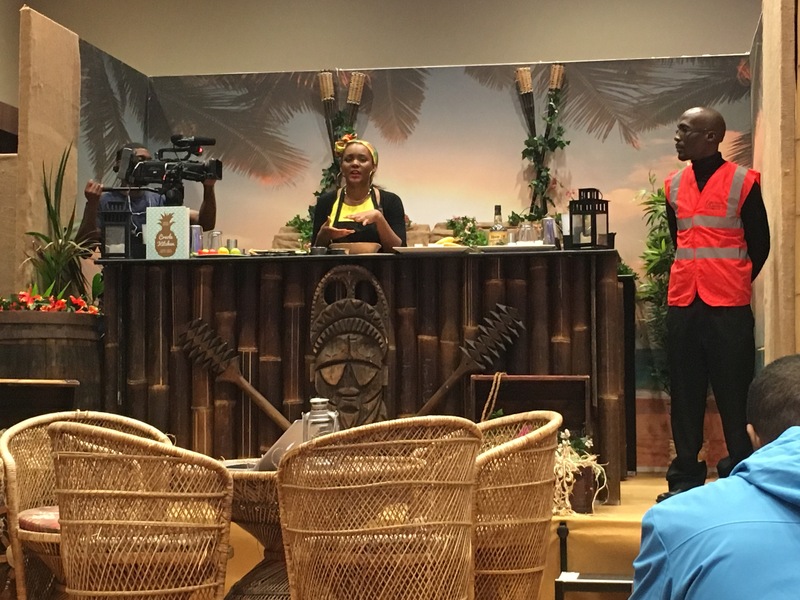 Whilst a lot of real ‘wow’ experiences come from the big producers who can afford to display slightly more hospitality than most, for lovers of rum nothing really prepares you for how geniunely passionate each and everyone of the exhibitors are. They take you through the production of their drinks, show you the best ways to drink them, and are more than willing to answer any questions you have. A true must attend event – here’s to next year’s event!